Lake Lungern holds some of the most breathtaking waters I have ever seen. It is a panoramic vision speckled with charming chalets and sweeping meadows. Wildflowers burst out like fireworks and a waterfall cascades through the backdrop. 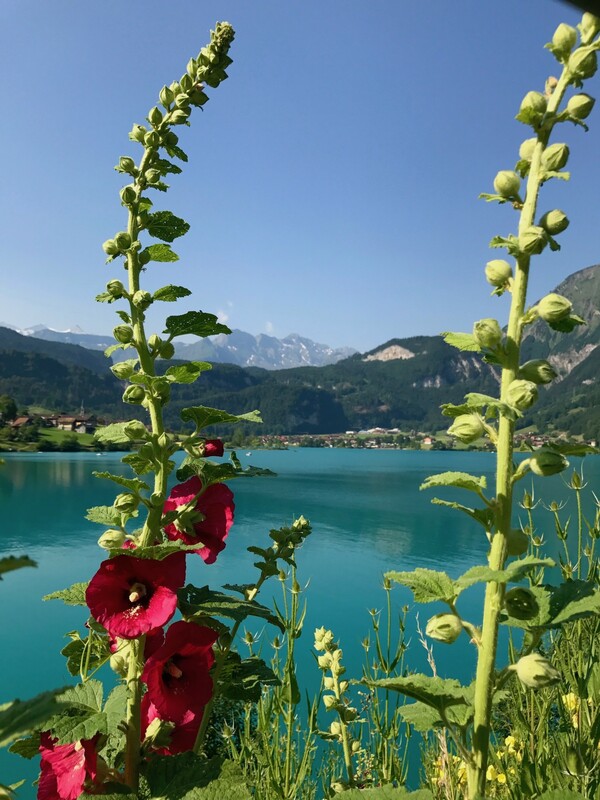 There are so many reasons to visit Lake Lungern! Every time I travel to Switzerland, its beauty stops me in my tracks – leaving me utterly speechless. I’ve always had a fascination with little mountain towns, and Lungern’s slow-paced way of life is pleasingly different from most places I visit. 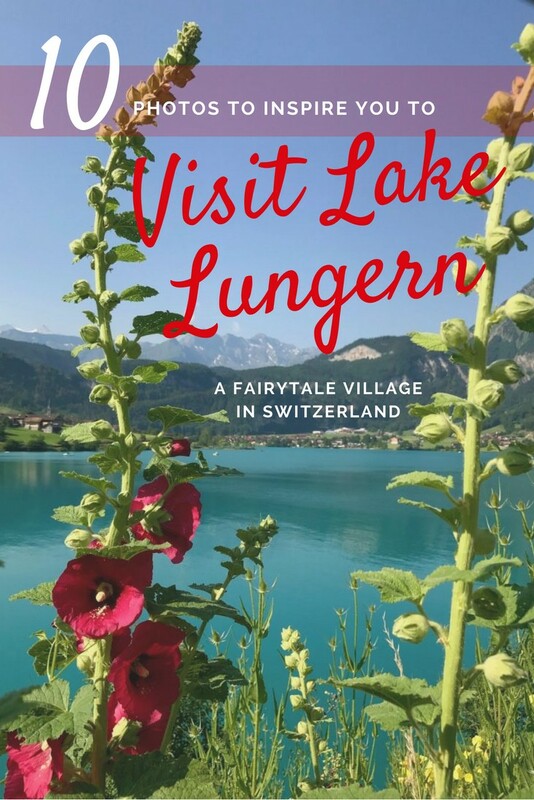 A visit to Lake Lungern will show you what it’s like to live in a small fairytale village. I spent my days here basking in the relaxed lifestyle that surrounded me. For so long, this village was left untouched, as it was extremely difficult to access. 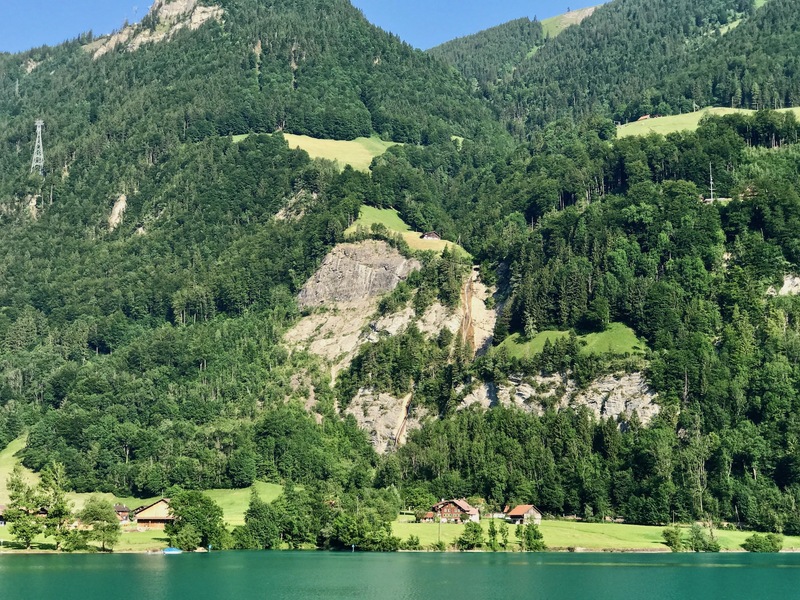 It wasn’t until the Brünig railway line was built, that the population began to build near Lake Lungern. Outside of this village, the settlements of Kaiserstuhl, Bürglen and Obsee also surround the lake. If you have time, Obsee is home to some of the best maintained parts of old town. Here, you can still find charming old houses in their original structure and style. They’re complete with blooming flower boxes on every window, and gardens bursting with color! You’ll feel like you’ve taken a trip into a simpler, more beautiful way of life. Upon the slopes of the grassy mountainside, you can watch the native highlanders hard at work breeding their cattle. In the town of Lungern you will find a post office, flower shop, general store, cafés and bakeries and other quaint restaurants. As you stroll through the charming village, you’ll immediately think you’ve been transported to the pages of a fairytale. Continue your storybook fantasy by enjoying a meal at Hotel Kaiserstuhl, a great little restaurant with delicious fresh fare, charming atmosphere, and astounding lake views. This magical way of life is constantly surrounded by breathtaking scenery. With the glistening Lake Lungern, surrounding waterfalls and dramatic hiking views – it is beauty beyond comprehension. A day on the glistening waters of Lake Lungern can consist of fishing, swimming, kayaking and boating. There is even a path that surrounds the entire lake with jaw-dropping views that seemingly get better with every turn. There is also a sandy shore equipped with a waterslide, creating an opportunity for family fun. 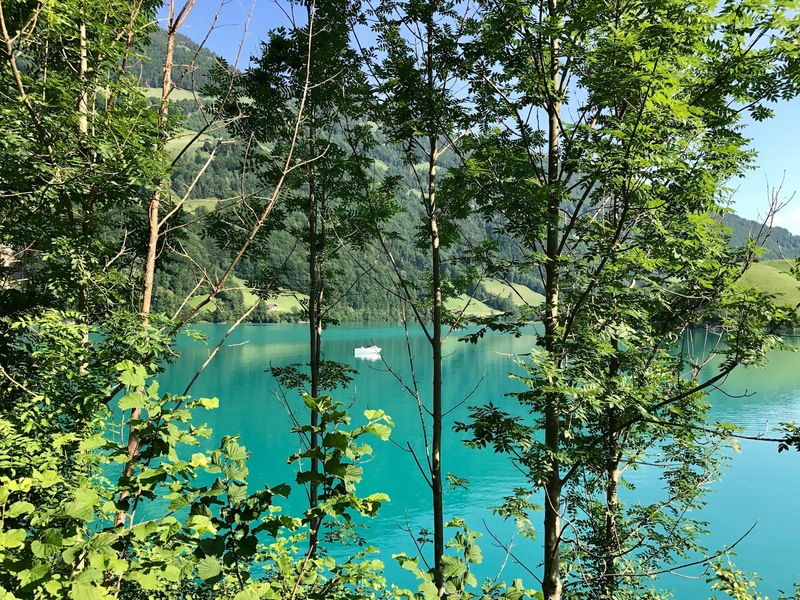 Lake Lungern is also great for nature and photography lovers – the images speak for themselves! Lake Lungern is the perfect hideaway spot, providing outdoor adventures, serene relaxation, incredible views, and a charming history. If you’re looking for a little magic in your life, this fairytale town is the Swiss destination for you. Looking for more jaw-dropping destinations in Switzerland? Check out 10 of Switzerland’s best places to visit. It’s my dream to visit Switzerland. It’s one of the most beautiful countries in the world. Your pictures only prove it once more.